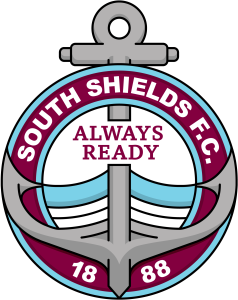 Mariners Park is on Shaftesbury Avenue, South Shields, and has a post code of NE32 3UP. The ground is within walking distance of Bede Metro Station. Alight at the station and go down the stairs before turning right if you have departed a train heading for South Shields, or turning left if departing a train going towards Newcastle. At the next junction you come to, turn right, and there is then a short walk along Shaftesbury Avenue to reach the ground. The Metro service links Mariners Park with both Newcastle and Sunderland train stations. If you are coming from Newcastle Central Station, board a Metro train heading towards South Shields from there, and alight at Bede station. If you are coming from Sunderland train station, board a Metro train going towards Newcastle and alight at Pelaw station, before crossing the platform and boarding a train heading towards South Shields, and get off at Bede. On matchdays, the turnstiles will be open at the front of the ground. Car parking is available on Shaftesbury Avenue, as well as the overflow car park at the nearby Barbour store. For those wishing to find the ground by public transport, local bus services operate to Simonside and the surrounding areas, which are again within walking distance of Mariners Park. The club’s designated midweek home match day is Tuesday, with games to kick off at 7.45pm, unless stated otherwise. Saturday games are 3pm kick-offs.